Whether you’re breaking a mortgage or choosing a new one, understand the options available to you. If you’re moving and you already have a great rate on your mortgage, you may want to bring your great rate and your mortgage with you to your new home. If you’re selling one home and purchasing the next, what do you do with your current mortgage? You may be able to bring your mortgage with you to your next home, and also add to it if you need additional funds. When you apply for a mortgage, you’ll need to decide how long your amortization period will be – this is the number of years it will take you to pay off your mortgage in full. If your down payment is 20% of the purchase price of the property or more, you can choose up to a 30-year amortization. If you are putting down less than 20%, the maximum allowable amortization period drops to 25 years – and you’ll also need mortgage default insurance. 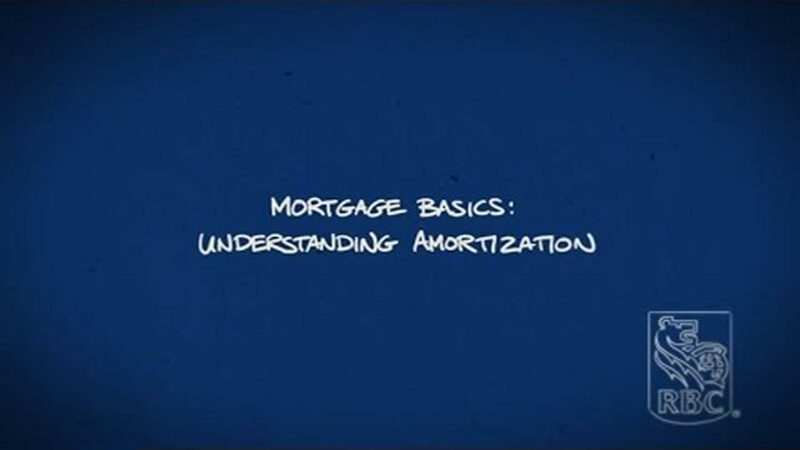 You can consider a shorter amortization if your goal is to pay off your mortgage faster. With a shorter amortization you’ll save money because you’ll pay less interest over the life of the mortgage. The trade-off here is that your regular mortgage payment will be higher. On the other hand, with a longer amortization, your payments will be lower, but it will take longer to pay off your mortgage, and your total interest expense will be greater. It really comes down to balancing what you’re comfortable with from a payment perspective with what your goal is for the amount of time it will take to pay your mortgage off. Here’s an example: A mortgage of $200,000 at an average fixed rate of 5%, and a 30-year amortization, will have a $1,067 monthly payment , and you will pay $184,253 in interest over the 30-year period. If you shrink your amortization period to 25 years, your monthly payment is higher at $1,163, but your total interest expense will shrink to $148,962 – you’ll be saving $35,291. You may choose a 25 or 30-year amortization to start with, but it’s a good idea to take advantage of prepayment options that allow you to pay off your mortgage faster. Even a few small changes can make a big difference in the amount of time it takes to pay off your mortgage and the amount you pay in interest. A few options to consider are: increasing your regular payment amount, choosing an accelerated payment frequency, or making annual lump sum payments. All of the extra funds will go towards reducing your principal so you’ll be mortgage free faster. Every bit helps – because let’s face it, nobody wants to be paying a mortgage forever. When you’re buying your first home, you’re likely focused on the price of the property and getting the biggest down payment together. But your mortgage rate is another factor that can have a big impact on your monthly mortgage costs. 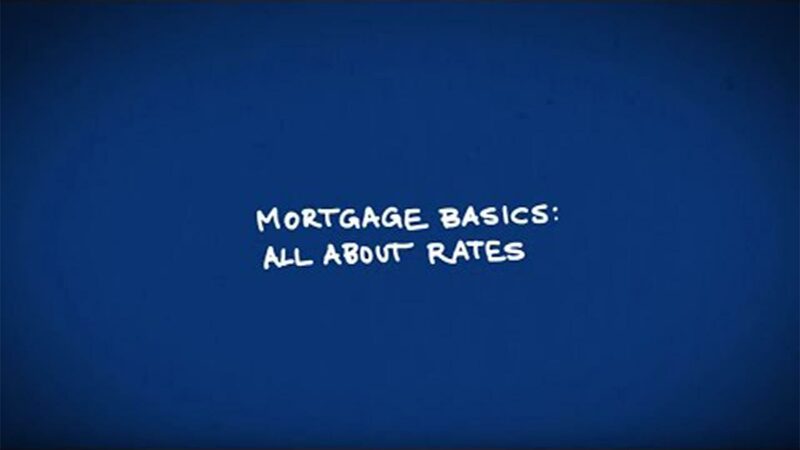 Rates will vary depending on the length of your mortgage term and the type of mortgage you select. The term is the length of time you agree to a specific interest rate and payment amount. Mortgage terms range from 6 months to 25 years, and generally move up or down in relation to the term length chosen. A 1-year term will typically have a lower interest rate than a 5 or 10-year term, so you need to think about the rate and term combination that you’re most comfortable with. The mortgage type is the other important factor to consider – specifically, whether you want a fixed rate or a variable rate? With a fixed rate, your interest rate is locked in for the term of your mortgage -- and you will know exactly how much of your payment is going to principal and to interest. With a variable rate the interest will change with the prime rate set by your bank but your regular payment will stay the same during the term -- it won’t be possible to know in advance how much interest you will pay and the principal amount you will owe at the end of the term. No matter which mortgage type you choose, it’s important to remember that rates can go up, and even a percentage or two can make a difference to your payments. For example, say you have a $200,000 mortgage, a 25-year amortization period and a fixed-rate, 5-year term. At 5%, your monthly mortgage payment will be $1,163. But say after the 5 years is up, the going rate is 6% - that takes your mortgage payment to $1,261. If it climbs to 7%, your payment becomes $1,362. It’s a good idea to consider how this might impact your overall budget. You can combine critical illness coverage with life insurance. Should you suffer a stroke, heart attack, or be diagnosed with a life-threatening cancer critical illness coverage pays a lump sum to the outstanding balance of your mortgage, up to a maximum of $300,000. Or you can choose to combine disability insurance with your life coverage. 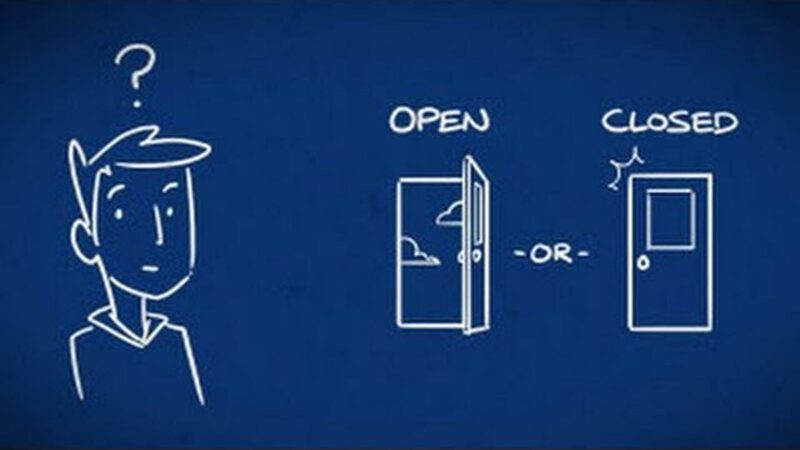 Open or closed? What’s best for you as a first-time buyer? A decision you’ll need to make is whether to go with an open or a closed mortgage term? This decision comes down to weighing your need for flexibility against possible cost considerations. If you are planning to stay in your home for several years, a closed term mortgage may be a great choice. Interest rates are generally lower than with open term mortgages – helping you to save on interest costs and pay off your mortgage faster. If you choose a closed mortgage, and decide to pay off the outstanding balance that you owe before you reach the end of the term – you will pay what’s called a “prepayment charge”. A prepayment charge is also charged if you decide you want to pay off more than your closed term mortgage allows in a given year. It really comes down to what’s important for you – the complete flexibility that comes with an open mortgage, or the lower interest rate that may come with a closed mortgage. 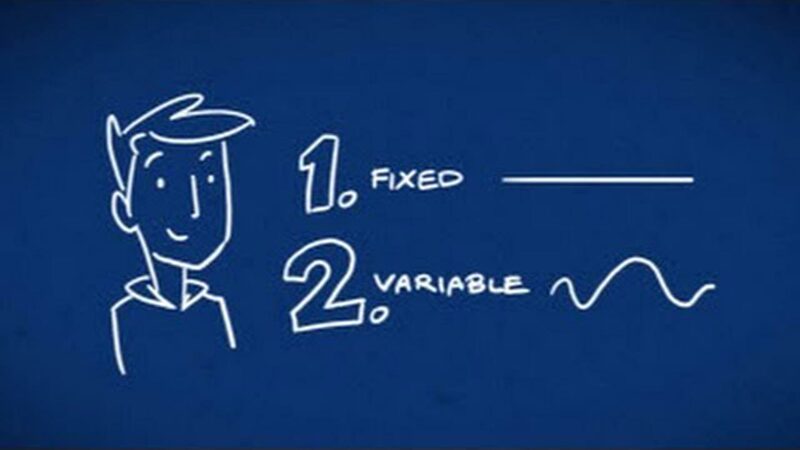 Mortgages Basics: Variable or Fixed Rate? When it comes to mortgage rate types, you have two main choices: fixed rate and variable rate. With a fixed rate mortgage, your interest rate is locked in - or fixed - for the term of your mortgage and your payment amount will stay the same for the entire term. Because the interest rate does not change throughout the term you know in advance the amount of interest you will pay and how much you will owe at the end of your term. With a variable rate mortgage, the interest rate will fluctuate with the prime rate set by your bank. A variable rate will be quoted as prime plus or minus a certain amount. Your payments will still stay the same for the entire term, but if interest rates go down, more of your payment will go towards paying down the principal. If they go up, more of your payment goes to paying interest. Because the interest rate changes throughout the term, it is not possible to know in advance how much interest you will pay and how much principal you will owe at the end of the term. It's also important to be aware that your regular mortgage payment may be adjusted if the amount of your variable payment is not enough to cover the monthly interest on your principal. 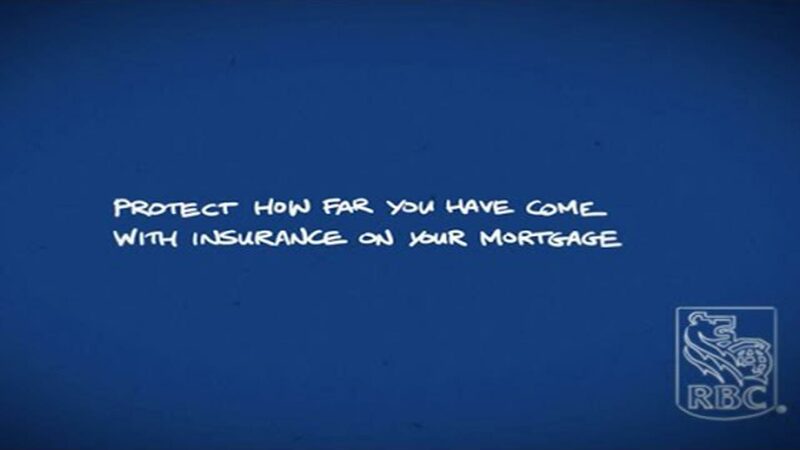 Talk to your RBC mortgage specialist for personal advice about the best mortgage rate type for you..